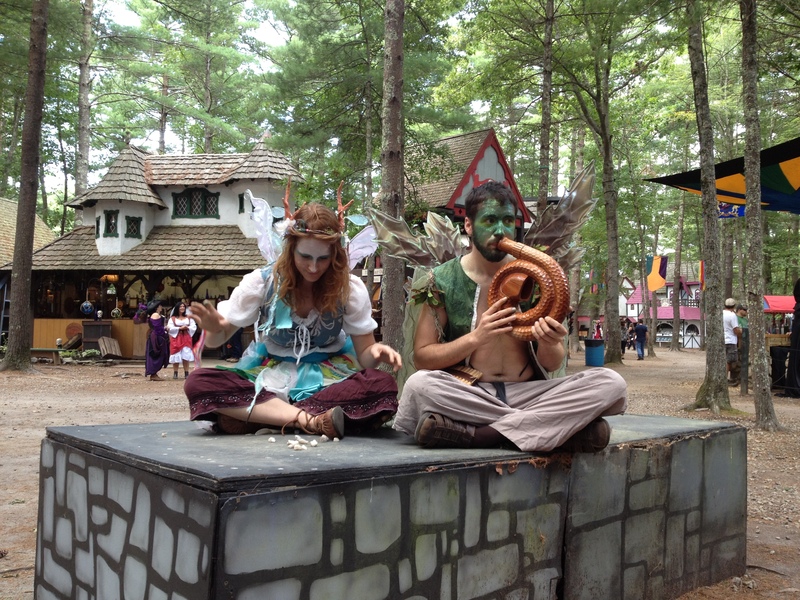 The first time I took the kids to King Richard’s Faire in Carver, Massachusetts, they were completely overwhelmed. It may have had something to do with the first cosplayer they saw being a huge guy covered in animal pelts with a giant horned hat on his head. He even scared me. We waited a few years, took them back, and this time they had so much fun that they are already making plans for next year. I tried getting them to dress-up before we left, but they thought I was crazy. At eight and ten they were convinced that wearing a costume would make them stand out rather than fit in with the crowd. Once we arrived, that idea lasted about thirty seconds. As the first performers began speaking to a very costumed audience outside the gates, my girls had a change of heart and wanted costumes more than life itself. 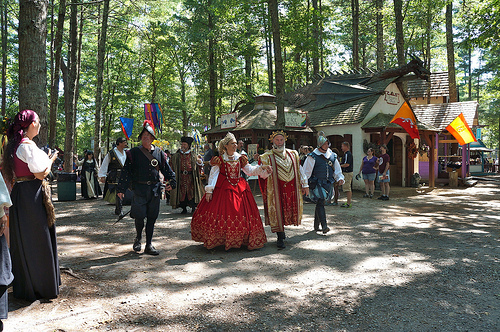 If you’ve been to a Renaissance Faire then you know that most of the costumes inside the fairgrounds are on the pricey side, especially for a child who will likely outgrow everything in a matter of months. Add to this the fact that I am not ready to turn my daughters into buxom wenches with corsets and you’ve got a parental dilemma. I could see by the looks on their faces that this wasn’t just something they thought would be neat now and would forget about in a week. They really wanted to cosplay. We wandered through a few shops and each child gravitated to her own style. I had a ten-year-old wanting a fluffy skirt and a corset and an eight-year-old wanting a hooded cloak. 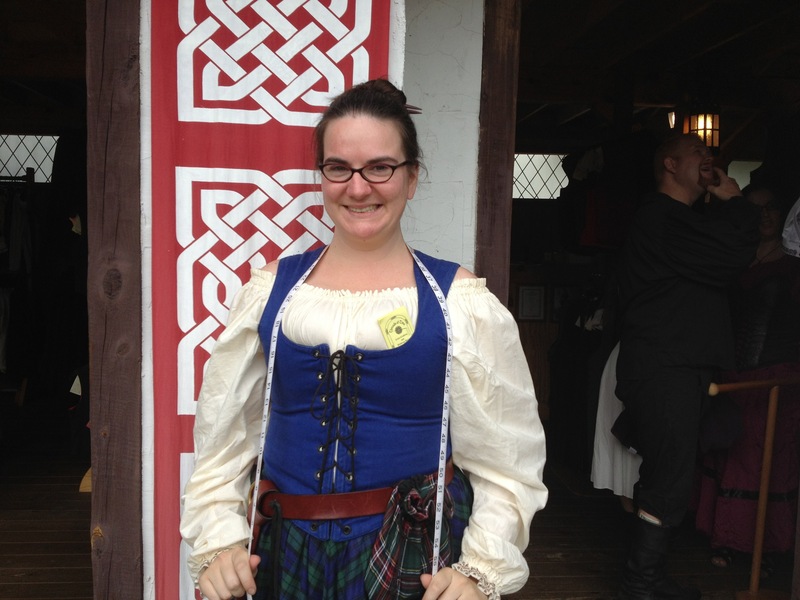 One thing you can expect at a Ren Faire is a huge variety of incredibly well-crafted clothes. Things are expensive because they’re often handmade and not mass produced. These are truly craftsmen who take great pride in their work, and rightly should because the clothing is beautiful. But, again, the price becomes an obstacle. If you’re an adult, you are buying pieces you know will last for many years and that will be used again and again. Not so with kids. In between the jousts and games, dancing and eating, my kids learned how to make choices, adhere to a budget, and the fun of building a costume one piece at a time. First, we set some guidelines. I gave them a dollar amount and told them that if they wanted to spend more, then they would have to use some of the allowance money tucked away in their piggy banks back home. I also set the expectation that, no matter how much they loved an outfit, final say would come down to me and Dad. It’s not that I didn’t want them to get creative and make their own choices, but as I mentioned before, I am not ready for buxom wenches and the kids are just young enough to not realize what might be inappropriate. As we wandered in and out of shops, they gradually narrowed down their choices. It was all finally decided at a shop called Threads of Time where they found pieces made for adults that still worked for kids. The employees were wonderful in helping guide the kids and me toward choices that would work. The youngest got a beautiful hooded cowl. Right now, the hood covers her whole head and it comes down past her elbows. Once she grows, it’ll be shorter but will still fit and easily be a part of another costume. The oldest, Miss I Want A Corset, ended up with an outfit that filled the fluffy skirt requirement without turning her into a wench. She got a peasant styled blouse and gathered skirt. Both are roomy and the skirt is long, but as she grows they will still fit and can become the base for new costume ideas. The kids are thrilled with their outfits and so am I. The youngest is in the living room right now, curled up on the couch wearing her cowl with the hood pulled low as she plays video games with her sister. Stealthy gamer is stealthy. Although they didn’t get complete outfits with every piece they wanted, they learned something. They learned to make decisions about what they really wanted, to stay in budget, and that part of the fun of cosplaying isn’t getting all the pieces at once. They’re excited at the idea of adding a little bit each year and maybe of finding things in completely unexpected places that will add to their costumes. In the end, we had a wonderful day at King Richard’s Faire full of great family memories. My kids also learned that building the perfect cosplay outfit is a process that happens over time, building even more memories along the way. 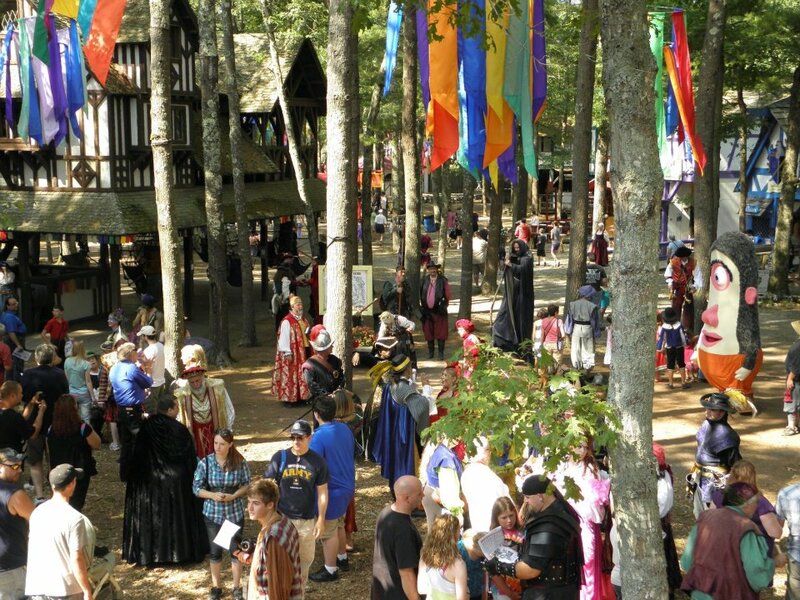 I received complimentary admission to the faire for purposes of this article.